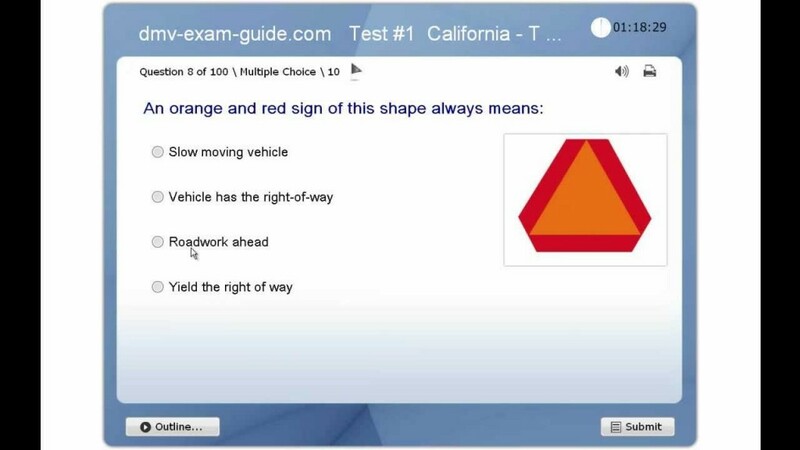 This practice exam has 50 multiple choice questions & answers about the Traffic Signs and Driving Rules, according with the California Driver Handbook. Our Practice Exams are based on authentic California DMV permit test required for teen students under 18. The test were created re-writing actual DMV Permit test questions.